Chrystalla Thoma, author of Rex Rising: Book One of Elei’s Chronicles, a YA Science Fiction e-book, is my guest today. She discusses her new book, and gives us some insight into how she comes up with her story ideas. Dave: Hi Chrystalla, welcome to my blog. Can you first tell us a few things about yourself? Dave: We have both published short stories in the anthology “Extinct Doesn’t Mean Forever”, edited by Phoenix Sullivan and published by Dare To Dream press. Can you tell us what your story is about? 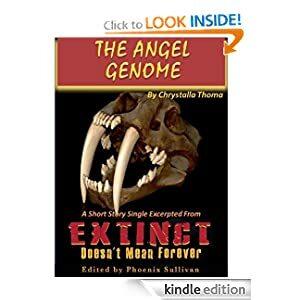 Chrystalla: The Angel Genome is one of my favorite self-written stories. What if the legends of angels arose from an extinct human branch? Lucia doesn’t believe in angels – but she might believe in the cloned child of a forgotten race. I wrote the story more than two years ago and it was one of those tales that demand to be written. I’d never imagined a call for stories would come along where this story would fit so snuggly – although I’ve had people hesitate, then tell me, “but angels never existed. So, how is this science fiction?” Aha! 🙂 Although we don’t know whether a human race ever existed which had special traits and which was later remembered as a race of “angels” as we think of them today, many branches of the human tree have been recently discovered, which survived until relatively recently (for example the Homo Floresiensis). What science fiction explores is not only which races could have been brought back to life, but what else science could bring back – what else we don’t know about – and here is where imagination comes in. We had ancient ancestors that were tiny, or huge, or ate only fruit on the trees. What if we also had ancestors who had wings? Dave: What is your most recent writing project? Chrystalla: I write sci-fi and fantasy in equal measures, therefore it is only due to the law of probability (or fate?) that my most recent project is a sci-fi as well. 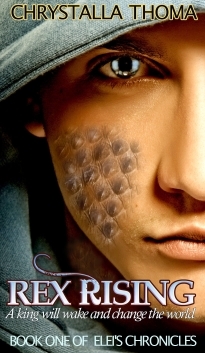 Rex Rising is a Young Adult Science Fiction novel about Elei, a young aircar driver in a world where parasites create new human races. He leads a peaceful life — until a mysterious attack on his boss sends him fleeing with a bullet in his side. Pursued for a secret he does not possess and with the fleet at his heels, he has but one thought: to stay alive. His pursuers aren’t inclined to sit down and talk, although that’s not the end of Elei’s troubles. The two powerful parasites inhabiting his body, at a balance until now, choose this moment to bring him down, leaving Elei with no choice but to trust in people he hardly knows in a mad race against time. It won’t be long before he realizes he must find out this deadly secret – a secret that might change the fate of his world and everything he has ever known – or die trying. Dave: What inspired this story? Chrystalla: When I say “parasites”, many people shudder. Yet, when you read sci-fi and paranormal fiction, many “conditions”, even vampirism, being a zombie, or having supernatural abilities, can be (and sometimes are) attributed to parasites, be they viruses or other kinds. Truth is, we humans have many symbionts – we happily (and often unhappily) live together with many other organisms inside our bodies. Our bodies are so used to having parasites, that lack of them has caused certain diseases of our era – auto-immune system diseases (like Crohn’s disease) and allergies, which are due to the fact that the body, finding no parasites to fight as it has used to do for thousands of years, turns upon itself and starts to destroy its own tissues. Recent research has found out that for patients with Crohn’s disease the best therapy is often the introduction of hookworms and other relatively harmless parasites. I highly recommend a book by Carl Zimmer, called “Parasite Rex” to anyone who would like to read more about this fascinating topic. Dave: Interesting! Thanks for coming over, Chrystalla. Where can one find you on the internet and read your stories? 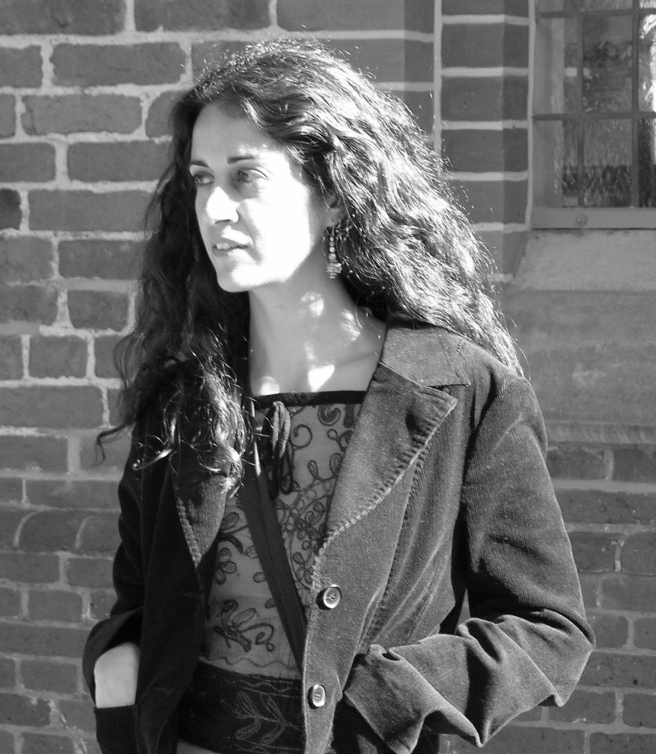 This entry was posted in Anthology, Chrystalla Thoma, Cyprus, Extinction, Parasistes, Rex Rising, Science Fiction, Short Stories, Speculative Fiction, Uncategorized, Writing, YA, Young Adult on September 13, 2011 by David North-Martino. Two of my favorite writers together again :o). Nicely done!